For a Lauderdale by the Sea Injury Attorney that is reliable, call the Law Offices of Robert E. Gluck, P.A. Robert Gluck is completely dedicated to making sure his clients are treated fairly and receive the financial compensation they deserve. If you've been injured in an auto accident, slip and fall accident, medical malpractice, or any other accident, give us a call today. Your Lauderdale by the Sea Injury Attorney will need to prove negligence before he can move forward with your case. Negligence is the legal standard a reasonable person must follow in order to avoid injury to another person. If negligence existed at the time of your accident, the at-fault party may be held financially responsible for the injuries you've suffered. 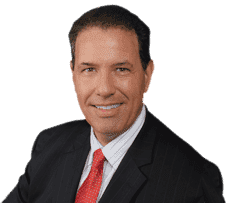 It's important to hire Robert Gluck as your Lauderdale by the Sea Injury Attorney immediately after your accident. He will start by opening a full investigation into your claim. He'll take photographs of the accident scene, find and speak with any witnesses to the accident, obtain and secure video surveillance, and gather any other evidence he believes will help. This is a difficult time and you shouldn't have to deal with it on your own. Your Lauderdale by the Sea Injury Attorney will handle the legal process for you so you can focus on healing your injuries and receiving the medical care you need. Studies have shown you're more likely to receive a higher compensation if you seek legal counsel than if you try to handle it by yourself.